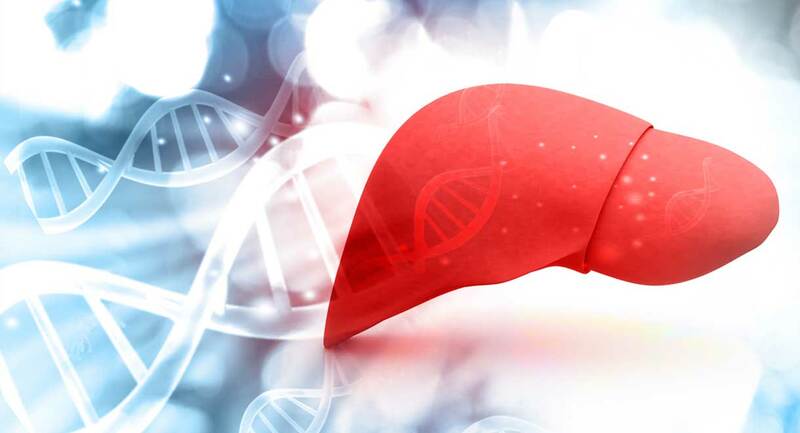 Liver disease is common worldwide and modern day integrative medicine has been able to give many people with liver disease, from hepatitis B and C, to auto-immune disease, a healthy normally functioning liver. It is never too late, as the liver has remarkable powers of healing and regeneration. The liver is the largest organ in the body and has many vital functions. It is between 21 - 22.5 cm in its greatest transverse diameter and 15 - 17.5 cm in its greatest vertical height and weighs 1200 to 1600 grams. It manufactures bile, which is stored in the gallbladder and released at meal times when it is required for the digestion of fats. It stores glucose in the form of glycogen, which is converted back to glucose again when needed for energy. It stores the vitamins A, D, K, B 12 and folate. It regulates the metabolism of protein and fats. It manufactures some hormones, proteins and clotting factors. It is a detoxifier and breaks down or transforms substances like ammonia, metabolic waste, drugs, alcohol and chemicals, so that they can be excreted from the body. It filters the blood stream and in so doing removes unwanted substances that can damage the body. Liver disease can vary from mild to severe and may pass through a long period of minimal and vague symptoms until the final stages of jaundice and mental confusion appear. A number of diseases can affect the liver, such as acute and chronic hepatitis, fatty liver, liver scarring (cirrhosis) and tumors. The underlying causes of liver disease include viral infections like hepatitis A, B and C, alcohol excess, some prescribed drugs, metabolic disorders, excess dietary sugar and immunological factors. Acne rosacea - (red pimples around the nose, cheeks and chin). Brownish spots and blemishes on the skin (liver spots). Red palms and soles which may also be itchy and inflamed. Flushed facial appearance or excessive facial blood vessels (capillaries/ veins). ‘The Liver Cleansing Diet”– contains the eight week eating plan to improve liver function. "Fatty Liver: You Can Reverse It" provides a detailed guide on how to reverse fatty liver disease. "Save Your Gallbladder Naturally, and what to do if you've already lost it" provides help for all gallbladder problems. “Raw Juices Can Save Your Life” - juice book contains carefully designed juices to help with common health problems - this is a complete A to Z Guide of diseases and their specific healing juices. Avoid tobacco, alcohol, exposure to chemicals and pesticides and avoid liver toxic drugs including acetaminophen, the contraceptive pill and oral estrogens. For women with liver disease estrogen patches or creams are a safer way to take hormone replacement therapy. Include plenty of the following foods in your diet: fruits and vegetables, nuts, seeds, pastured meat, poultry, eggs and wild seafood; beetroot, artichoke, carrots, turmeric. Indeed, 50 percent of the diet should consist of raw fruits and vegetables with an emphasis on green leafy vegetables. Drink eight to ten glasses of water daily. Purified water with lemon is also excellent. Avoid - all processed and refined foods, refined sugars, fatty foods, fried foods, 'junk' foods and soft drinks. Avoid over eating; eat small regular meals. Avoid ALL margarines and similar type spreads manufactured from hydrogenated damaged fats. The Liver Cleansing Diet is an 8-week eating plan that gives you plenty of variety and well balanced, nutritious meals. The liver is the major FAT burning organ in your body. Following this diet, your metabolism will improve rapidly and you will start to burn fat. Then the process of weight loss begins naturally and without great effort from you. Conversely, if you eat the wrong foods, your liver will manufacture more fat so that you become a fat-storer. If you don't want to follow the 8-week plan, then that's OK too, simply follow the vital principles for a healthy liver (see chapter 5 of "The Liver Cleansing Diet" book and pick and choose recipes and foods that you enjoy). There are hundreds of delicious and easy recipes for soups, salads, dressings, sauces, dips, main courses and desserts and much more- there is so much variety you will never be bored or hungry! If you follow The Liver Cleansing Diet your metabolism will improve in leaps and bounds. The Liver Cleansing Diet gives you a NEW method of combining food for efficient metabolism, weight control and repair of the liver. By following the principles of The Liver Cleansing Diet and using nutritional supplements and liver tonics, it is possible to reverse many types of liver disease. This is even more so if these strategies are followed in the early to medium stages of disease. I have known about the incredible healing power of raw juices from a very young age. My grandmother’s life was saved by raw juicing back in 1930. Raw juices are an incredibly powerful healing tool and can improve the function of the liver and kidneys. This increases the elimination of toxins and waste products. Appropriate juice recipes like the ones below can be found in my book “Raw Juices Can Save Your Life”. Wash, trim and chop all ingredients and process in juicer. Drink 2 to 3 small cups daily. Wash, trim and chop produce and process through juicer. This juice is high in Vitamin C and sulfur compounds to cleanse the liver. This is a very strong mixture and may be diluted 1 part juice to 1 part water or you can dilute it with cold herbal or fruit flavored tea. Drink 250 to 500 ml (8 to 16 oz) daily. How long will it take to improve my liver? It is very difficult to say how long this will take, as obviously it depends on if/or how long an individual has been drinking alcohol, if other drugs or medications have been taken, or the patient is very overweight, etc. In some individuals it may take some weeks in others it may take several years. Take 2 capsules twice daily or 1 teaspoon twice daily of powder stirred into raw vegetable juice or water. A combination liver tonic designed for liver disease and dysfunction consisting of St Mary's Thistle, Taurine and B vitamins will help stimulate the phase 1 and 2 detoxification pathways. It will assist in stimulating the liver to start to burn fat by clearing the saturated detox pathways. Take ½ teaspoon twice daily in water or juice. MSM stands for Methyl-Sulfonyl-Methane and is an organic naturally occurring form of sulphur. MSM is very safe and has no known toxicity. There are no known contraindications for its use. Aids in the manufacture of bile & elimination of toxins, and is a powerful blood cleanser. Is useful in liver diseases and dysfunction. Is an essential component of glutathione, which is the leading antioxidant made in the body..
Take one to two, 600 mg capsules of N-Acetyl-Cysteine (NAC) twice daily. NAC is a building block for glutathione, which is the major antioxidant and detoxifier in the body. NAC reduces inflammation and helps to repair liver cells.